Seven Network has successfully been able to hold on to the second slot for years together in the history of Australian television. It was first set up in the year 1956, on December 2nd by the Seven Media Group and has ever since been a strong player in the field of Australian media. Initially, Seven Network had a reach only to the people residing in and around metropolitan Melbourne and Sydney, but today the television network caters to the largest number of audience across Australia. Recent program schedules and innovative projects have once again brought Seven Network in direct competition with the leader in Australian media, Nine Network. The Seven Network television network company is headquartered at Pyrmont in Sydney. The current affairs section of the television network is handled by the studios situated at Martin Place, while the primary production works are carried out at Epping in northern Sydney. A huge project related with relocating the main production work from Epping to the Australian Technology Park at Redfern has been undertaken. Keeping pace with latest developments in the field of science and technology, Seven Network also has a full-fledged digital network center at Melbourne Docklands. Seven Network was a pioneer of VHF7 in Australia, and together with Amalgamated Television Services, was able to set up great broadcasting services through VHF9 frequency. Seven Network catapulted to fame after broadcasting a live Australian Rules football match in 1957. During its initial years, Seven Network aired programs of a simple format and shows aired were of the kind like Pick a Box and other inexpensive extensions of popular radio programs. However, Seven Network began airing expensive, high-budget programs once Frank Packer's TCN-9 bought controlling rights of Seven Network's Melbourne branch, GTV-9. The creation of a new network also brought about the launch of Homicide in the 1970's, the longest running series in the history of Australian television. The same decade also saw the introduction of color television in Australian homes, and along with it, an adoption of new bright and colorful logo for Seven Network. The following decade was even more eventful in the history of Seven Network. The following decade enabled Seven Network to scale new heights of success with a spate of successful shows like; Sons and Daughters, Country Practice, Neighbors, Wheel of Fortune and most importantly the live coverage of the Summer Olympics at Moscow in 1980. The decade also saw counterparts of Seven Network being bought by rival business companies like Rupert Murdoch of News Limited and Quintex Limited of Christopher Skase. 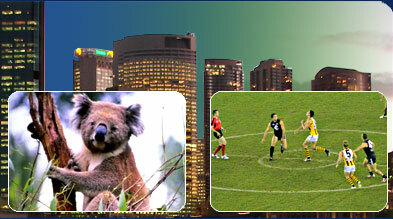 With the adoption of a new logo in 1988, new and successful programs like Home and Away and Seven National News were also launched. Seven National News continues to be showcased as Seven Nightly News. Successful Seven Network programs of 1990's include; Real Life, Today Tonight, A Country Practice, The Great Outdoors and Blue Wheelers among others. Ever since its initial days, Seven Network has remained a front-runner in the field of sports and continues to be so till today. The Sydney summer Olympics of 2000 led Seven Network to adopt another logo, which continues to be used till the present day but with minor changes. In early 2006, Seven Network entered into a partnership with search engine giant �Yahoo!� to revamp the online, mobile and Internet protocol television business.